The Banker desk light impresses not only with effective lighting, but also looks exceedingly decorative and regal with the rich bronze lacquer. 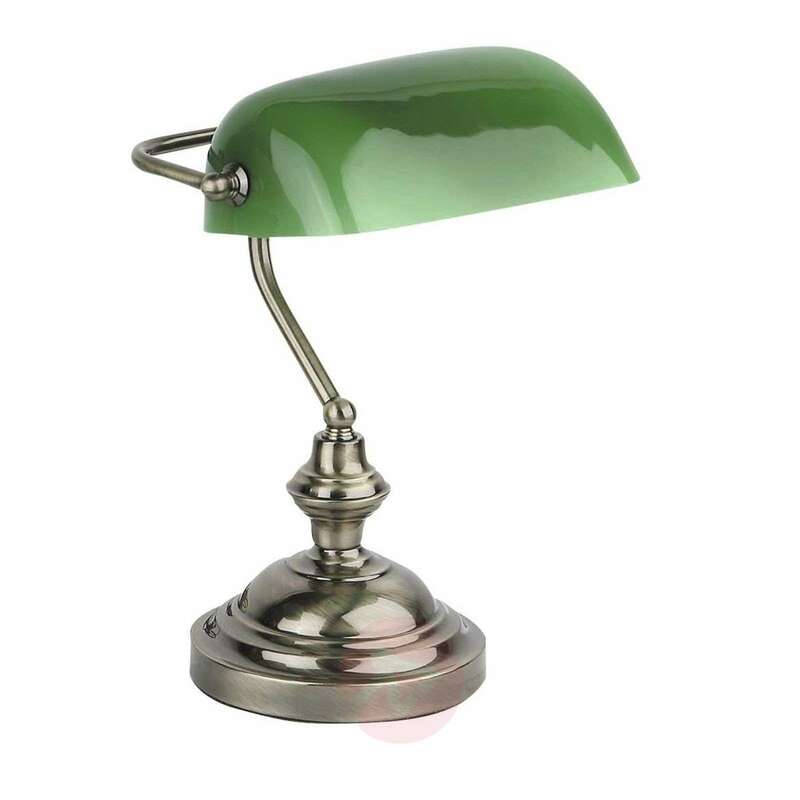 The green glass shade directs the light directly onto the respective surface. A tasteful desk lamp with style. A switch is integrated. Where exactly is the switch? Thank you for your enquiry. Kindly note that the on/off switch is situated on the cable cord. Thank you for your query. Shipping is not included but rather depends on the total order amount and where it is being shipped to.